The clash between Germany and Mexico will be played at the Luzhniki Arena in Moscow on June 17th. Die Mannschaft is one of the most serious contenders to lift the trophy in Russia, and are viewed as the team that should finish at the top of the group, while the Tricolor is hoping to reach the Round of 16, which would be hard to achieve with a defeat here, so they know that a potential point against the Germans would be a massive one. Germany qualified to their 19th World Cup as they only missed two so far; in 1930 and 1950, and after two third-places in 2006 and 2010, they won the tournament in Brazil four years ago, but it is always harder to defend the title than to win it. The four-time world champs have a tough competition this time around, but they are capable of going all the way. On the other hand, Mexico made it to their 16th World Cup, seventh in a row, and they advanced to the Round of 16 in all six, and that’s the plan here in Russia as well. The Tricolor’s biggest achievement is the quarter-finals, on two occasions, both when they hosted the competition in 1970 and 1986. The Germans didn’t have problems in the qualifications but they didn’t impress in international friendlies as they won just one out of six games, which is quite disappointing for the holding world champions. Joachim Löw’s side drew with England, France, and Spain, and after a pair of defeats to Brazil and Austria, they managed to beat weak Saudi Arabia, 2-1. Mexico played eight friendly matches and recorded four victories and a couple of losses, including the most recent one against Denmark, 2-0. The defense was particularly pleasing as they conceded six goals in the process, three against Belgium, while they kept the clean sheet against Poland, Bosnia and Herzegovina, wales, and Scotland, failing to score against Wales and Denmark in return. Manuel Neuer will be highly monitored in his first big match following a lengthy injury and he must prove doubters wrong as many claimed he is rusty and that Löw should give an opportunity to Marc-André ter Stegen, who had a great season with Barcelona. Javier Hernández, Mexico’s all-time leading scorer knows the Germans very well as he spent a few years at Bayer Leverkusen, so he will try to use that knowledge against their defenders, so Chicharito could be the one to test Neuer. These sides faced five times so far and the Mexicans are still searching for the first victory over Germany and seek for a little revenge after a 4-1 defeat in the FIFA Confederations Cup last year. 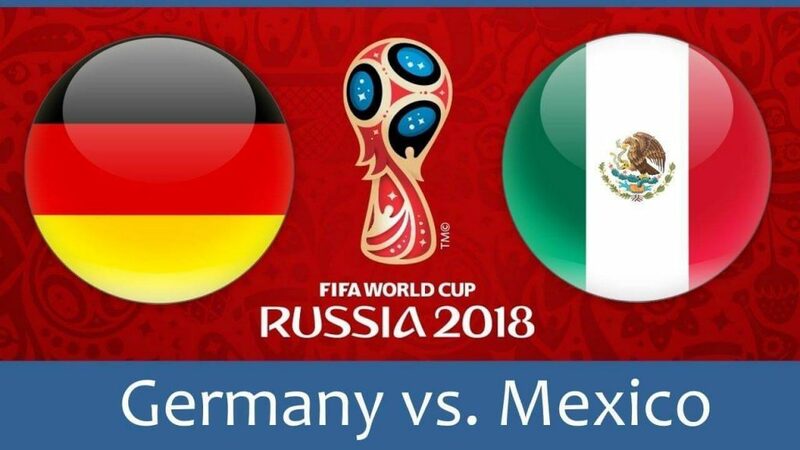 Although I don’t believe they will win here, I am pretty sure the Tricolor can cause a problem or two to Löw’s side, and considering Germany’s recent defensive issues, Mexico should score here.